Sleep is one of the unavoidable physical needs of everyone like food, water and air. It is not just the number of hours that plays an important role in ensuring a good sleep but also the level of comfort that depends on the mattress that you choose to relax on. 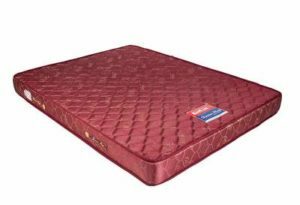 There are many brands are available in the market, here we have listed down the best mattress in India 2017 review. 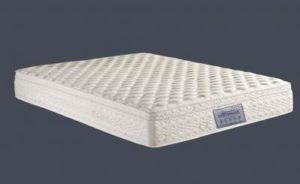 How to Select the Best Mattress in India? There are different types of mattresses available. Foam Mattress – It is known for its extraordinary capacity for adapting to the pressure exercised by the body and to the body heat. Light-weight and easy to handle, a foam mattress can be easily folded and stored. The foam mattress is filled by foam with multiple layers. 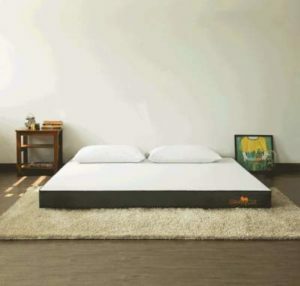 Currently foam mattress is the most popular in India. 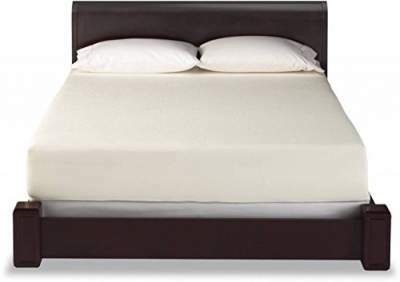 Spring Mattress – these are connected and the system provides an excellent support over the entire sleeping area. They offer fantastic value for money and come in range of different comfort levels. Spring mattress is made of springs and small coils stuffed under and have a nice cushion wrapper. Memory foam Mattress – This special foam is made of dense, heat-sensitive material that reacts to your heat and weight and supports you evenly. It’s called memory foam because it keeps your shape for a while after you get off it. Coir Mattress – This mattress is manufactured by processing coconut coir fiber with latex solution. The resultant mattress feels firmer and offers so much more comfort. Due to the nature of coconut coir, coir mattresses are very hard and rigid. Rigid and hard surface mattresses aggravates the body pains and makes the back pain even worse. So we strictly suggest not to go for coir mattresses if you have back pain. Mattresses thickness can range from 4 inch to 10 inches. More thickness means more cushion and more comfort. If you have back pain it is always good to select the mattress at least 6 inches. The first in the list is comfort. If you are a side sleeper or you might prefer sleeping on your stomach or back sleeper, if you aren’t comfortable with your mattress, your money is only going down the drain. Next comes durability. A durable mattress usually has several layers or different types of foam. Check for warranty – The good mattress should have a warranty of 5 – 10 years. Longer warranty means better products, so go for longer duration warranty mattress. Please read carefully the details about warranty and Refunds & Replacement policy. Select the material and comfort level according to the kind of a sleeper you are. It is also important to have the best pillow along with the good mattress, so you check the best pillow for neck pain. This is most popular and highly rated Ortho mattress. This mattress has been appreciated by many customers and most of the reviews are positive. This is the best mattress for back pain and neck pain. A must buy Mattress – Makes you believe every night as the best decision that I chose it. Quality – Wake-fit’s Memory Foam mattress made from high-quality memory foam with the latest technological innovations provide excellent back support while engulfing you in its cocoon and letting you enjoy restful, deep sleep. Size – various size mattresses are available on Amazon site, check by clicking on below button. Temperature – bigger the cell size of the foam, better is the air flow, keeping you cool and comfortable throughout the night. Warranty – 5 years manufacturer warranty. SleepyCat is a 6 inch orthopedic memory foam mattress built by experts and made to suit everybody. Smartly shipped – You get this mattress in a neat little box so you don’t have to get people to carry it up for you or pay anything extra for delivery. SleepyCat can deliver you a luxury mattress straight from its factory at a fraction of the price of traditional retail. Gel memory foam – Therapeutic layer – SleepyCat’s unique Gel memory foam layer is designed to distribute your body weight evenly and keep you cool throughout the night. High-Density form – support layer – It adds strength, durability and structure to the mattress. Breezy Inner Cover – Specialized inner netted cover helps to maintain the foam inside while providing unique airflow throughout your mattress. Ultra-premium outer cover – It is made of a high GSM knitted fabric for comfort and flexibility. It is handcrafted and the zipper makes it easily removable for spot cleaning. This is another good brand in mattresses and they are having huge experience in manufacturing it. This mattress comes with White colour and various sizes are available. Comfort Level – It is soft, comfortable & supportive- helps to maintain body posture. Material quality – Memory foam is a heat-sensitive material that is highly recommended for spine care. Support – This range is focused on providing perfect support for your body, making sure you adopt the correct sleeping position, aligning your spine and increasing blood circulation. It takes the shape of the body while on it & comes back to its original shape, once the weight is taken off. Warranty – Direct from factory having 5 years manufacturer warranty. Kurl-on is well-known brand and very popular, mostly known for the quality and after sales support. It is little expensive mattress, but comes with good quality and good support system. Various sizes are available. Other features – it is an Anti-dust mite, Anti Bed bug, Anti-Microbial and ultra-fresh. Warranty – 5 Years and 1-year free replacement. This is one of the best spring mattress comes with 6-inch thick layer and gives complete comfort with required softness. It comes with maroon colour with double size. They have used Intelligent Sleep Technology to build the mattresses. It has 4 firmness, medium soft, medium firm, high firm, and firm in Spring. This product has passed ASTM and EN certification, and Nilkamal is a 2nd most popular brand in home improvement. Sleep well is known as one of the top manufacturer of sleep support products in India. They are one of the best companies in producing the best foam mattresses. It has an ISO 9001 certification. This mattress comes with size, modern style and off-white colour. It is built to provide maximum comfort, this mattress is crafted by integrating temperature sensitive material that has been developed by NASA, this mattress follows the contours of your body, reducing stress and enabling deep quality sleep. Product Dimensions – Length – 83.71 inches, Width – 29.87 inches and Height – 5.90 inches. Warranty – 5 Years on the product. That is all our Best Mattress In India 2017. We have provided all important details for each model. We have considered those points/criteria, user feedback and price tag of the product to prepare this list. There are different ranges of Mattresses are available above and you can choose the one which fits in your budget and needs.